Report on Ocean Nocturne from Hudson Valley Music for Live Players and DVD (Sound and Film) composed by Chris Kaufman. "Ocean Nocturne" from Hudson Valley Music. a festival commited to bringing brand new music to audiences. fit in well with a concert programme. "Ocean Nocturne" for wind quintet fulfilled this request perfectly. The music beautifully compliments the very moving and timely DVD - about nature, the environment and our deep relationship to our surroundings. The performance was very much enjoyed both by the performers and the audience alike. We wish to thoroughly recommend this excellent piece to professional ensembles and their audiences. Catherine Pluygers. Director London New Wind Festival. 17th January 2012. The Composer Writes about HUDSON VALLEY MUSIC: "...For this project I have assembled hundreds of natural sounds... With these I have worked extensively - creating interwoven backdrops of sound over which the musicians perform. I have also created original instruments from the sounds of living creatures... I perform music onto the tape... and composed with orchestral sounds to create powerful rhythmic ostinatos in the central portion of the piece and peaceful textures at the end... Throughout the work musical themes are shared by the sound design, the animals and the live players..."
HUDSON VALLEY MUSIC is a piece for live musicians, a CDTape composed of hundreds of natural sounds and orchestral sounds and visual projection. The images on the film are both natural and the art of environmental painter Ken-Cro-Ken. I redesign HVM for different ensembles and this work has been performed many times in many venues. Catherine Pluygens offered to include this work for the 14th London New Wind Festival (November 2011) and for her I've designed this new version created from two of the five movements which comprise Hudson Valley Music. They are 'Ocean' and 'Nocturne' and are two of the softer, slower movements. The resulting 'OCEAN NOCTURNE' is an evocative original piece which celebrates nature and offers a hint of warning. This work combines my work as a composer of classical chamber music with my work as a sound designer and composer for film, which is where I learned the techniques for the tape composition. 'OCEAN' - The story of Hudson Valley Music begins in the Long Island Sound as you paddle your dugout canoe out to sea. You'll hear ocean surf, crashing waves and the sounds of your oars in the water. Then a humpbacked whale emerges and begins to sing. The french horn begins to play and thus the work begins with a duo between these two creatures. You'll then hear the entrance of the Beluga Whale Chorus - which is music I created from the sounds of Beluga whale recorded underwater. Strettos composed from these sounds create an eerie soundscape against which the players perform passionate melodies, some of which are reminiscent of the way natural creatures repeat their songs with subtle variations. Your boat turns towards shore and you hear music created from the sounds of shore-birds - a trio made from Curlew, Loon and Osprey. The sounds of ocean turn to those of river water as we near the river mouth. You'll hear an original instrument I created from the sound the 'oyster toadfish' makes. It sounds like a sharply plucked string, I 'keyboardized' it and combined the sound of a soft headed east Indian drum to make the sound you hear - which is a soft repeating rhythmic murmur. It sounds like a Native American tribe off in the distance - a to reference to a time when man and nature lived much more in harmony. This sound initiates a duo between oboe and clarinet leading to a moving clarinet solo. The other instruments join in again to create a second wave of music climaxed by the appearance of Geese flying overhead with their trumpet-like sounds. The music then fades into three poignant Loon Calls which signal the beginning of transition from one phase to the next. After an impassioned flute solo a Symphony of Birds erupts (with a bullfrog-chorus bass-line), the players perform the main melodic themes from the first movement in a fresh musical environment. The opening horn solo returns and cadences into the beginning of NOCTURNE. NOCTURNE begins with the sounds of oars and fresh river water, then the sounds of rattle-snake and tree crickets take us into a composition created from the sounds of Wolf-song infused with sharp coyote yips, wind, a sound created from the residue of redwing blackbird song, 'keyboardized' bats, bear huffs and a deep Moose Call. Together they make a 'Call of Earth', a call of warning, a call to action. The players have been resting during this music - when they begin it is in imitation of flying bats and as they continue the 'Call of Earth' returns and the work ends with the deep sounds of moose and bear. "Hudson Valley Quintet gives an audience a powerful experience. The performance leaves them 'electrified' and with a feeling of 'unresolved hope'. They are receptive. A performance of this work is an effective way to open a talk on Environmental Issues." Visit Christopher Kaufman's website: www.chkaufman.com and the Project Page for Hudson Valley for more about this work and it's growing impact. Marjorie M. Rusche is an internationally performed award winning contemporary classical composer who combines romantic, modernist, vernacular and world music influences in her compositions. Dr. Rusche composes music for opera, music theater, orchestra, chorus, a variety of vocal and instrumental chamber ensembles, soloists, dance, theatre, and film documentaries. 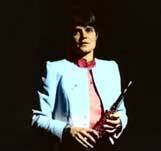 Recently, she was honored as a guest artist and composer panel moderator at the 13th London New Music for Winds Festival, November 19, 2010, in London, England. Movement I "Radiant Inferno" from her piano solo ECLIPSE and TONE POEMS for Bassoon and Piano were featured on the program. ECLIPSE was commissioned by the Indiana University South Bend Raclin School of the Arts and was premiered March 3, 2010 by Ketevan Badridze, piano. Other awards and commissions include: Indiana University South Bend Faculty Development Grant; Columbia College Chicago Follett Fellowship; Saint Mary’s College Women’s Choir; Portland, OR Regional Arts Commission grant; Indiana Music Teachers Association Convention Commission; South Bend Symphony Orchestra; the American Music Center’s Margaret Fairbank Jory Copying Assistance Program, New York City; DuPage Chorale/American Composers Forum-Chicago Chapter; Stickley Foundation Opera Commission Award, South Bend, IN; Indiana State Arts Board Individual Composer Fellowship; Meet The Composer-Midwest; the Jerome Foundation, St. Paul, MN; the American Chamber Opera Company, New York City; Gotham Ensemble, New York City; Meet The Composer-New York Composer Performance Fund Award; Indianapolis Symphonic Choir, IN; McKnight Foundation Fellowship in Music Composition, St. Paul, MN; Minnesota State Arts Board Individual Artist Fellowship in Music Composition; Minnesota Composers Forum Demo Tape Grant; the Schubert Club, St. Paul, MN; Minnesota Composers Forum/Jerome Foundation Composers Commissioning Program Award; Skylight Comic Opera Theater, Milwaukee, WI; DANCECIRCUS, Milwaukee, WI and yearly ASCAP Standard Awards Grants. Her compositions have been performed live and on radio in Amsterdam, Chicago, London, New York City, San Francisco, Vienna, Kenya, Spain, California, Indiana, Maryland, Michigan, Minnesota, and Wisconsin, her birth state. Dr. Rusche is affiliated with ASCAP, the American Music Center, the American Composers Forum, the International Alliance for Women in Music and the College Music Society. 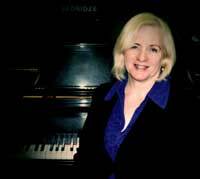 She teaches music composition, orchestration, music theory, and piano at Indiana University South Bend and the University of Notre Dame. She has also been a music instructor at Columbia College Chicago, Saint Mary’s College, Southwestern Michigan College and in Kenya while serving in the U.S. Peace Corps. She earned her D.M. in Music Composition from the Indiana University School of Music-Bloomington and her M.A. in Music Composition and Theory from the University of Minnesota-Minneapolis. 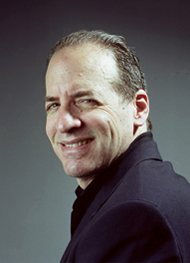 New York composer David Winkler has written over 200 works for orchestras and ensembles worldwide. Upcoming commissioned premieres include a double concerto for the Brussels Chamber Orchestra; Concerto No. 2 for Violin and Orchestra for the Europa Philharmonie, and solo works for pianists Walter Delahunt and Gabriele Baldocci. Recent premieres in 2013 have included his Piano Quintet for the Martha Argerich Project/Lugano Festival last June; and the orchestral Concert Prelude No. 3 for the Philadelphia International Music Festival last July and the Symphonic Overture "Forza Vita" for the International Beethoven Festival-Chicago, Illinois: upcoming commercial recordings include the Piano Trio “Warhol Appassionata” with the Verdehr Trio; Scherzo with pianist Gabriele Baldocci and Piano Sonata No. 3 with Walter Delahunt. Other recent premieres include those by The Paris Chamber Orchestra (Dubai, Sharzah, South Korea), The National Symphony of the Ukraine; The Symphony Un Cuyo, Mendoza, Argentina; National Symphony Orchestra of Bolivia, The Korean Broadcasting System, Chamber Orchestra Kremlin, Queen's Chamber Band (NYC) , Houston Grand Opera, Kharkov Philharmonic (Ukraine) as well as commissions from The Alabama Symphony (Birmingham, AL), Long Island Mozart Festival (NY, USA), The Kennedy Center for the Performing Arts National Symphony , and the Aspen Music Festival (Violin Concerto No. 1), the Voxare String Quartet and the International Chamber Soloists, etc. His works have been recorded on Naxos International including the “Concerto for Piano and Orchestra” and “Elements Concerti” and on Crystal Records, “Warhol Appassionata”. His operatic works include the recent one-act opera, "Pullman Car Hiawatha" based on the play by Pulitzer Prize winning playright Thornton Wilder. David Winkler has received a Leonard Bernstein Composer Fellowship, a Fromm Foundation Commission, the BMI Young Composer Award and a special ASCAP award. He has been composer in residence with the Aspen Music Festival, the Banff Centre, Opera/Omaha , the Chautauqua Opera and the Lincoln Center Institute. 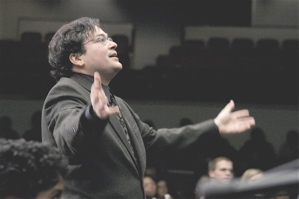 He has also received a fellowship grant by the New York Foundation for the Arts (2001)to support the creation of a variety of new symphonic works; and a commission grant by the New York State Council on the Arts to create new choral works. David Winkler has served as the Executive and Artistic Director of Chamber Players International since 1999 and currently serves as composer-in-residence for the Paris Chamber Orchestra.